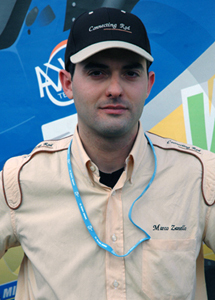 Born in Turin in 1974, Marco, besides writing articles, is in charge of the site management. With a degree in Political Science at the University of Turin and a previous diploma of Industrial Expert at the technical institute ITIS Avogadro, he continued his studies obtaining the M.A. in health economy and policy at CORIPE Moncalieri. Between 2001 and 2003 he was a Visiting Student at the Université de la Méditerranée in Marseille where he worked as a researcher. 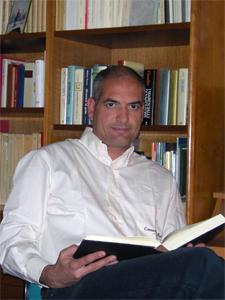 Since 2004 he has been consultant at the Health Direction in the Molinette Hospital in Turin. Since 2013 he is registered to Italian journalists order. He started interesting in the world of sports cars from his earliest years, when he had an opportunity to watch true and unforgettable motor races, among them the 1984 Monaco and 1986 Zeltweg. As years went by, when he came of age, he took and added also another interest in vintage road cars. Obviously, among them he preferred the ones of sports nature. Eclectic, he devoted his activity particularly on the study of Grand Prix cars, F1 single-seaters going back to the beginnings of the 80's and modern Endurance. Willing to make interviews and above all to comment historical cars races which he considers "the ideal environment where it's possible to have the feeling of the true nature of a vintage car". Like a tide, he goes to and fro according to his time and job commitments. But it remains his affection for the project he helped to create and the friendship with the colleagues who go daily ahead with the “Connectingrod” website. Therefore if from time to time he leaves us, sooner or later he comes back. 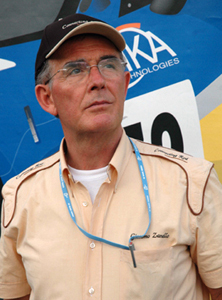 As for "Connectingrod" he mainly deals with the subjects related to the vintage cars, in his articles were summarized his different passions: for writing, history, motor races and technique. Thanks to this experience he had the chance to cooperate occasionally with some periodicals in the racing cars field, giving himself the satisfaction of seeing his articles also published in print. In telling the history in racing cars, he likes capturing the effort and the combination of human factors in the search for victory, in the belief that technology can change, but behind it there’s always the man with his dreams, emotions and intuitions, sometimes brilliant, generating progress. His gaze is not only directed at the past but also to the future, in a time when the car is looking for new means to facilitate the movement to a lower energy cost. In this sense he is a firm supporter of sporting regulations that put a greater emphasis on creativity in the context of energy saving, because the races return to the field of experimentation of new solutions being repaid in the production of standard cars. 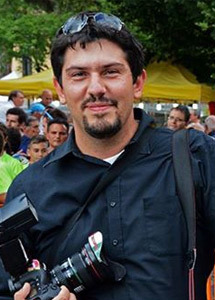 Born at Pontestura in 1940, in province of Alessandria, Giacomo is the official photographer of the "connectingrod" website. 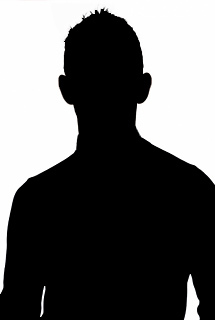 He moved to Turin to complete his advanced studies at the beginning of the 60's. He took a diploma of Electrotechnic Expert. Later on he devoted his main activity to the study and design on the electric and hydraulic systems of the aboard vehicle. 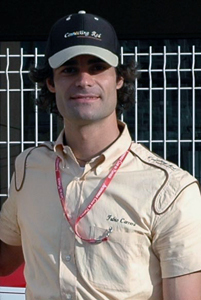 First he worked at Fiat Ricerche and afterwards with the Iveco Engineering. Since 2001 he has been consultant for some Italian and foreign car companies and and since 2013 he is registered to Italian journalists order . As a side job, he has always been keen on cars and photography, first taking photographs of landscape and naturalistic views and later on, starting from the 80's, of sports cars, from which he tries to seize the relationship that can be never disregarded between speed and technology. 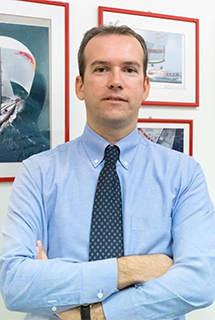 Born in Turin in 1974, Fabio, was originally our webmaster and then move to graphic development. Holder of a diploma in Electronics at the ITIS Primo Levi in Turin, he started his working career as an electronic maintenance technician at the ILTE Moncalieri (Turin) but, less than two years later, he followed his instinct and desire to enter the world of informatics. He attended a formation course with CSEA CSEA in Turin where he got the certificate of Software Development Technician. He immediately joined the SynArea Consultants as a JAVA programmer. Fond of HTLM and everything that concerned web he learned new website construction tools. Fond of photograph in general but more inclined to sports pictures, then he has taken some photos which appeared on this site. Ingegnere meccanico laureato al Politecnico di Milano da sempre appassionato di motorsport, è attivo nel settore in qualità di progettista ed esperto di sensoristica per analisi dinamiche e performance. Oltre ad essere da anni impegnato nei progetti di vetture sport prototipo, nel 2015 è stato ingegnere di pista del team Ibanez Racing alla 24 ore di Le Mans. Born in Rome in 1980 Gino is a big fan of Cars and Motorsport. In 2001 he created the italian leading car model website automodellando.it. He works as photographer and on ine image managing since 2005. In 2015 he did the connectingrod.it website restyling. In his photorapher curriculum is worthy of attention his 10 years collaboration with the Italian Leading Motorsport Photo Agency Photo4. For this company he did many reportage of important morotrsport events like Formula 1 Grand Prixs, International Cars Exibitions, 24 heurs du Mans, Fia GT, Wtccm etc. He's is registered to Italian journalists order.